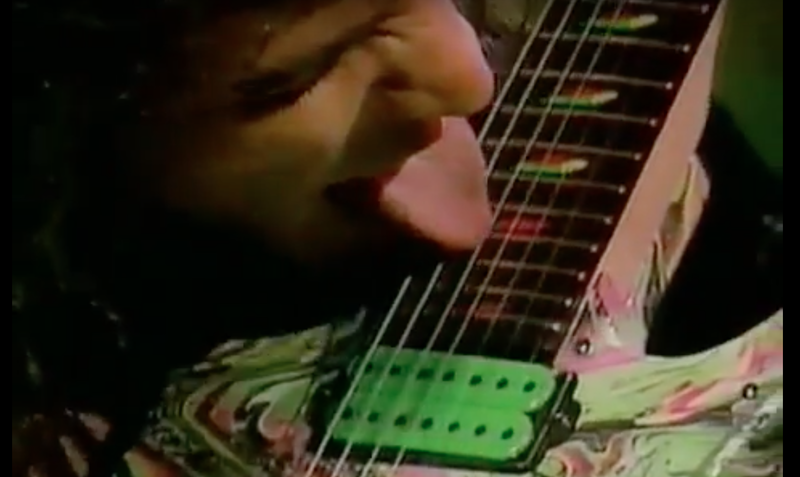 In May 1990, Steve Vai guested as host of MTV’s Headbanger’s Ball. His appearance was heavily advertised at the time, with many fans writing in, hoping to get a response from the virtuoso himself. In the clips below, Vai provides us with his opinions on such topics as female guitarists in the industry, tips for young musicians starting out and whether he’d do an album with fellow Long Island (New York) native and instrumental guitar legend Joe Satriani. 1989 release, Slip of the Tongue.